Publisher’s Blurb: A mediating-to-learn book. Kassim feels sad when his birthday present, a kite, is lost. When Kassim finds the kite that he lost, it is no longer the same. Can Kassim do anything about it? Publisher’s Blurb: Ming loves to make things. But he doesn’t have any money to help him create his inventions. One day, hearing the ‘beep, beep, beep’ of the Karung Guni man’s car horn, he is inspired to make something out of the unwanted things he collects. So he asks his neighbours, who are only too happy to help. With a plan in mind and tools in hand, Ming surprises everyone with a wonderful creation that they can also use! The Karang Guni man is a rag-and-bone man. 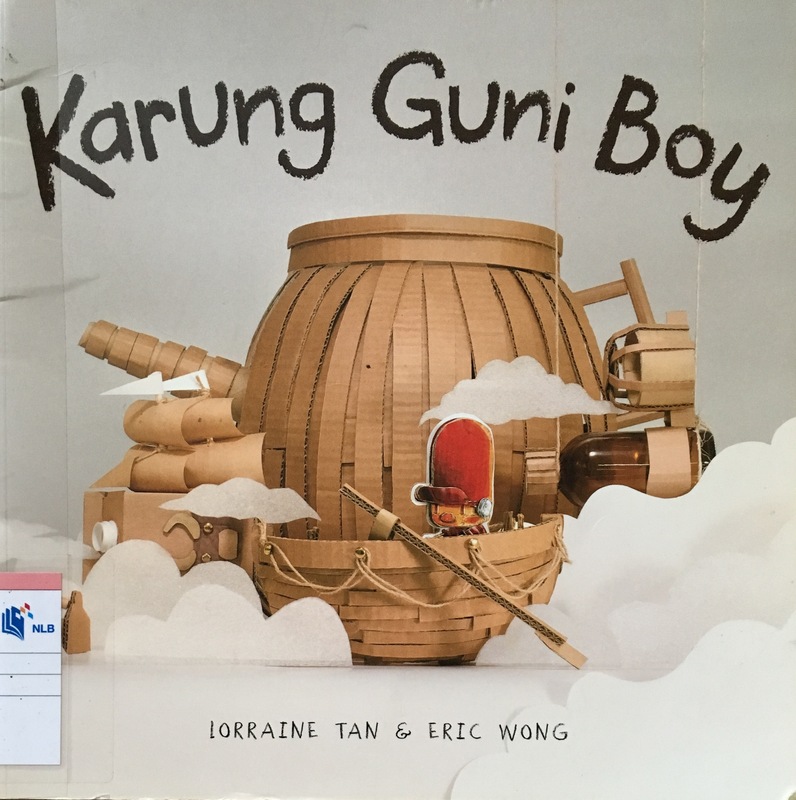 “Karang Guni” is a Malay phrase for gunny sack. 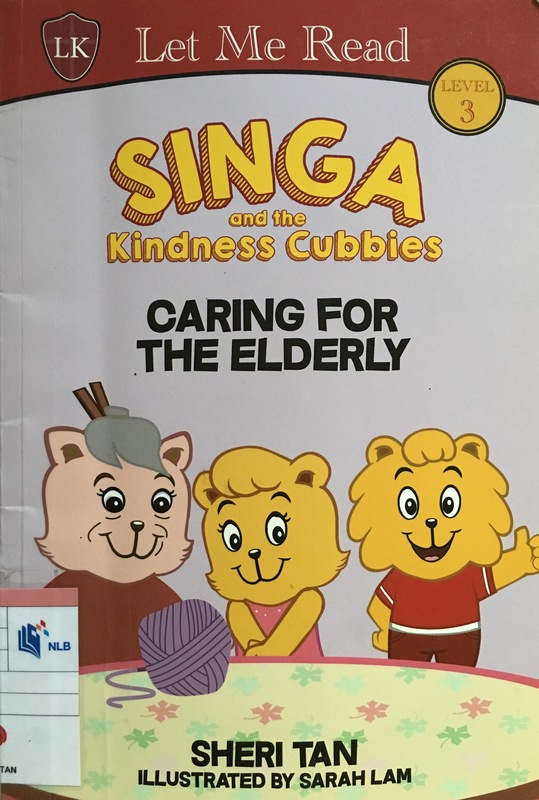 The practice of Karang Guni was common in Singapore but is a dying trade now. 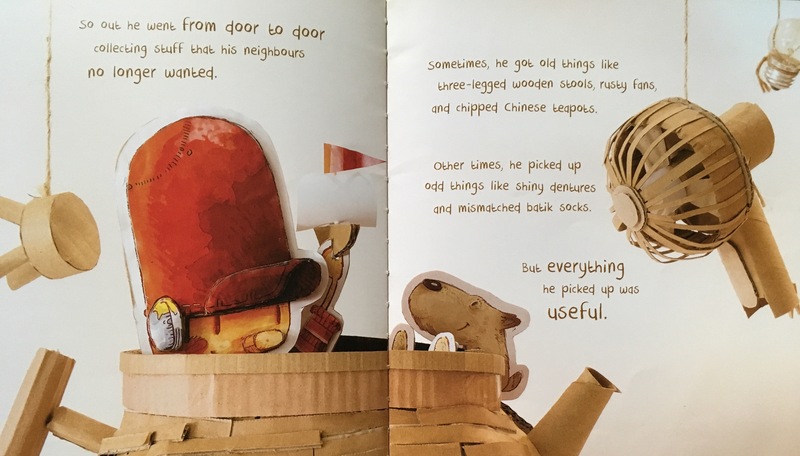 Brief Review (in under 50 words): Eric’s illustration included interesting objects made from corrugated board – an inspiration in themselves. 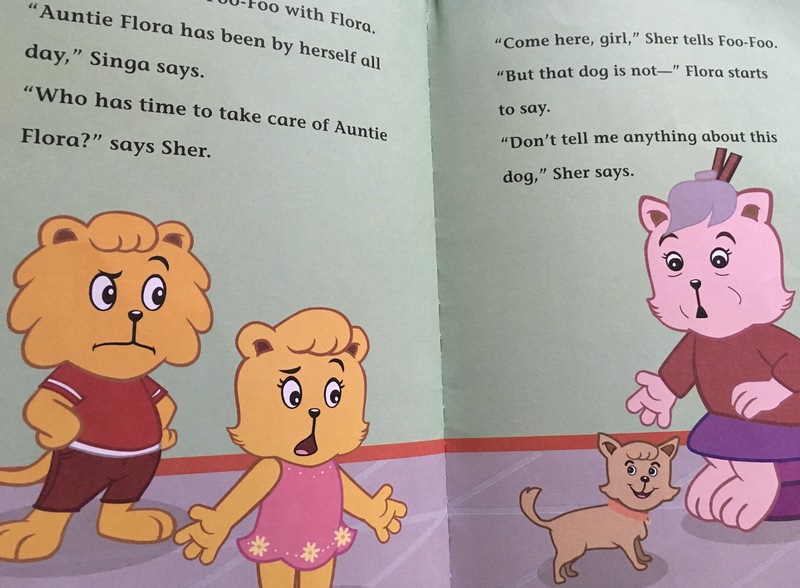 Publisher’s Blurb: Four-year old Abbie Rose has a magic suitcase. In this book, she goes on an exciting adventure to the snowy world of the South Pole with her best friend Billy. When she arrives, she meets a funny family of Adelie Penguins. 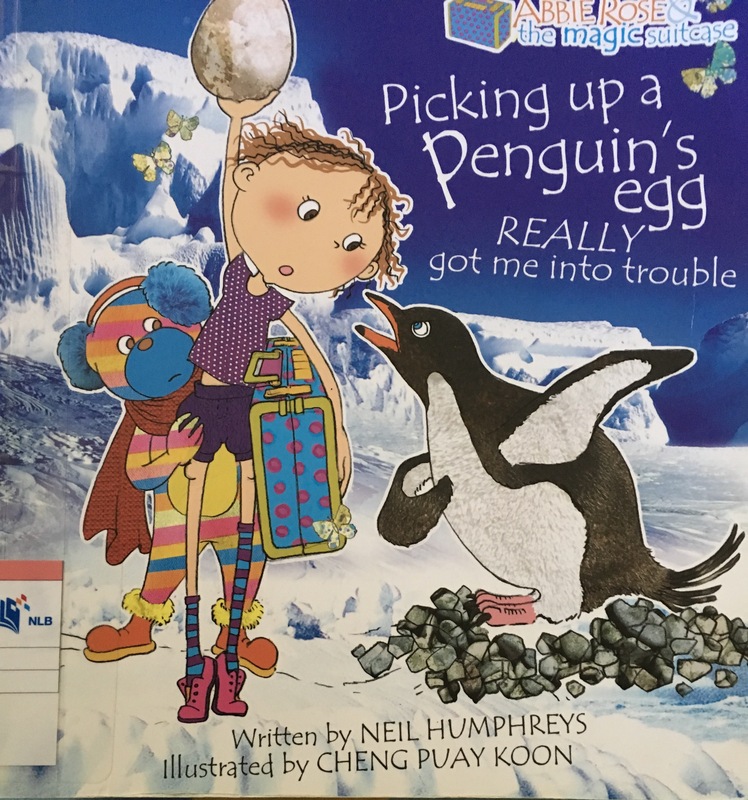 Always a curious little girl, Abbie Rose picks up a penguin’s egg which causes all sorts of problems. The penguins chase her. 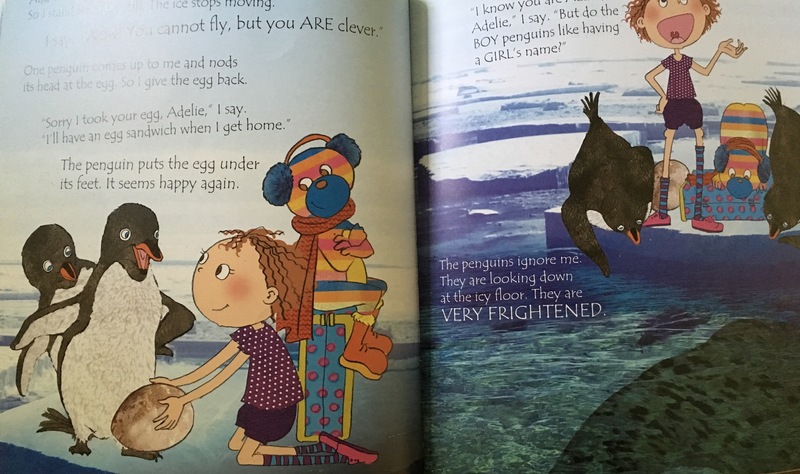 the ice breaks and they head out to the deep blue sea … where a hungry leopard seal is waiting. Fortunately, an unlikely hero comes up with a really clever plan to save the day. Brief Review (in under 50 words): Imaginative tale.